Advertise to over 20,000 Dropship Australia members, 8,000 Twitter followers, 2,000 LinkedIn Group members and our Facebook page. If your business fits in to one of these categories you can list in the suppliers directory today. If you would like us to add a category you just have to let us know. YOU GET PAID IN ADVANCE FOR SALES! No 30-90 day accounts or chasing customers for payment! Your bank account is going to love it and so will your accountant! You may be selling in wholesale quantities to retail outlets. There is no need to to change this when you become a dropship supplier as both business models can work side by side. set yourself up to take orders for smaller quantities (light bulk wholesale or individual items) or engage with a fulfillment warehouse. support your resellers with product information just like you do with your own sales staff. The dropship business model has saved wholesalers and manufacturers from liquidation and bankruptcy by opening up new outlets for their products. It doesn’t matter whether you are a large wholesaler or a small manufacturer. 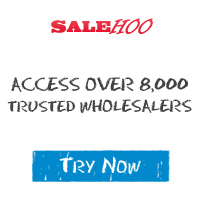 If you can deliver orders directly to customers for online resellers, you can add your business to the Dropship Suppliers & Wholesalers Directory and increase your sales. 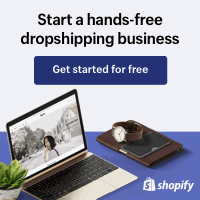 Why List Your Business With Dropship Australia? We were here in 2005 and are the ORIGINAL Australian Owned Dropship Suppliers & Wholesalers web site. New members joining us every day looking for products to resell through their own eCommerce and retail outlets. We are RANKED NO.1 on major search engines for relevant search terms which gives your business and products more exposure. Your products are exposed to a community of resellers who create marketing and sales campaigns to resell both online and offline. You are effectively gaining a sales force without having to pay all the overheads of employment. For a basic business listing in the suppliers directory we charge you nothing. A fee is charged if you want to be a featured supplier so your listing gains more attention. We will also introduce your business to our members and newsletter subscribers and promote your business through our social media outlets. Login and create your listing in the suppliers directory. We will verify your listing and you will receive an email when it has been approved. If we have any questions about your listing we will contact you. If you have any question or issues with adding your business please contact us for assistance.